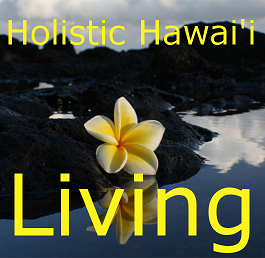 ​Holistic Hawaii Living is a public television program that features holistic living and practitioners in Hawaii along with visual nurturing for the Spirit, Mind & Body. Special guests are arranged and brought on this talk-story show. 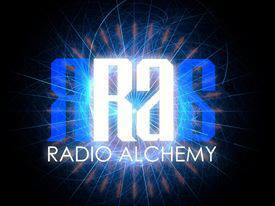 Topics range from healthy living, holistic tours, Hawaii vortexes, herbal tinctures & more. The show is also currently airing on Na Leo o Hawaii channels 53 & 54 (Time Warner Cable Hawaii). Is the word holistic a part of your every day? Do you live in Hawaii (on any island) and practice Holistic health & well being, and would you like to be a guest speaker and share your message on a new community access TV show? 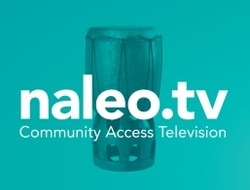 HOLISTIC HAWAII LIVING is a new TV show created on the Big Island and airing on Time Warner Cable Channels 53, 54 and Worldwide Online (http://NaLeo.TV) co-starring spiritual realtor Claire K. Bajo, life author Caren Gomes and I in a talk-story format focusing on Holistic health and well being. We're looking for additional guest speakers to join our show. Herbs, Yoga, Meditation, Pyramids, Law of Attraction, Reiki, Natural Medicine, Affirmations and LOTS more are the topics of discussion....will you join us and share your message? Guests on Big Island: We film locally in our TV studio, but can make exceptions to come to film you in action if you do public seminars or engagements. Guest on other islands: We would like to set up a Skype / Facetime interview with you to be on the show via the Internet. Please contact us using the form below if you would like to be a guest on the show. Now scheduling guest appearances for May/June/July/August 2015. Holistic Hawaii Living is an upcoming weekly show discussing topics that range from Holistic Healing of Spirit, Body & Mind, Healing Energy Vortexes, Law of Attraction, Self Development and more that will be airing weekly on Na Leo O Hawaii Community Access TV Channel 53. Each new episode will now feature a guest speaker on the show. If you live on Hawaii Island and you would like to be a special guest on the show, please contact me or any of the other co-hosts to be scheduled on the show. The pilot episode was produced by Maxima May Forslund of Kukui Lani Healing. Holistic Hawaii Living is a public television program that features holistic living and practitioners in Hawaii along with visual nurturing for the Spirit, Mind & Body. Special guests are arranged and brought on this talk-story show. Topics range from healthy living, holistic tours, Hawaii vortexes, herbal tinctures & more.